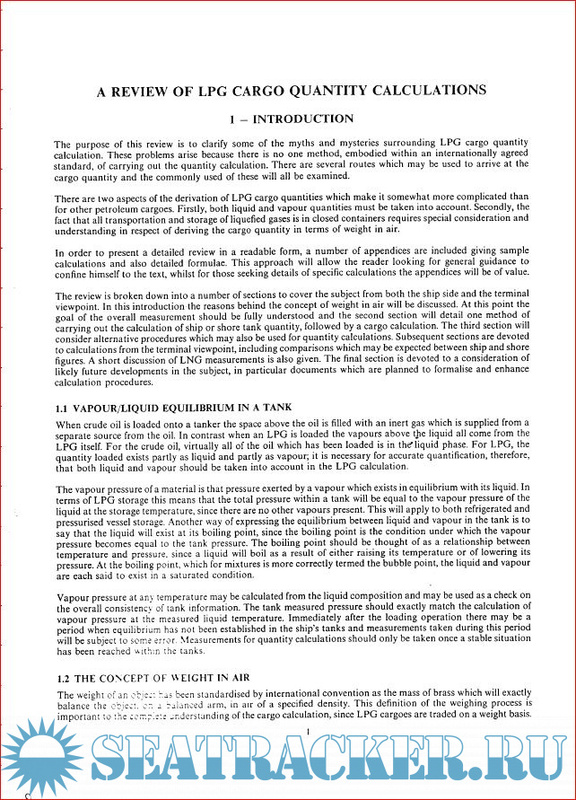 Description: The purpose of this review is to clarify some of the myths and mysteries surrounding LPG cargo quantity calculation. These problems arise because there is no one method, embodied within an internationally agreed standard, of carrying out the quantity calculation. The review is broken down into a number of sections to cover the subject from both the ship side and the terminal viewpoint. 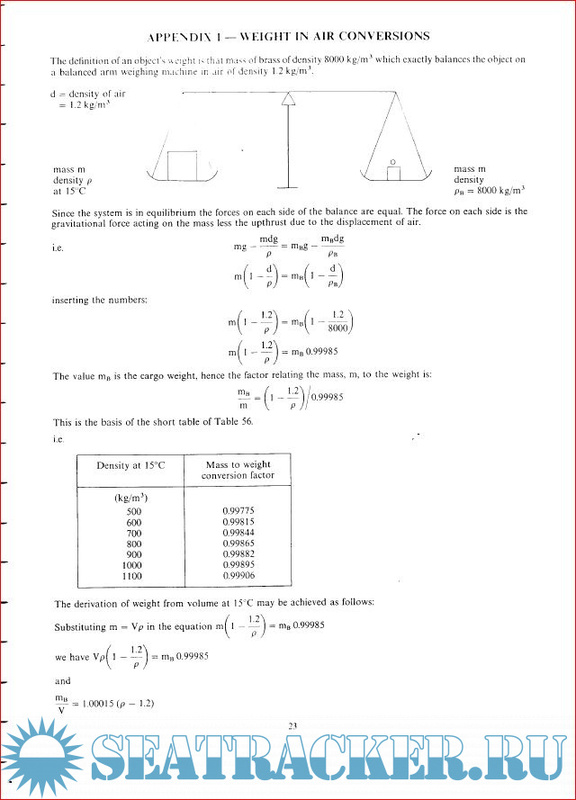 In the introduction, the reasons behind the concept of weight in air are discussed. 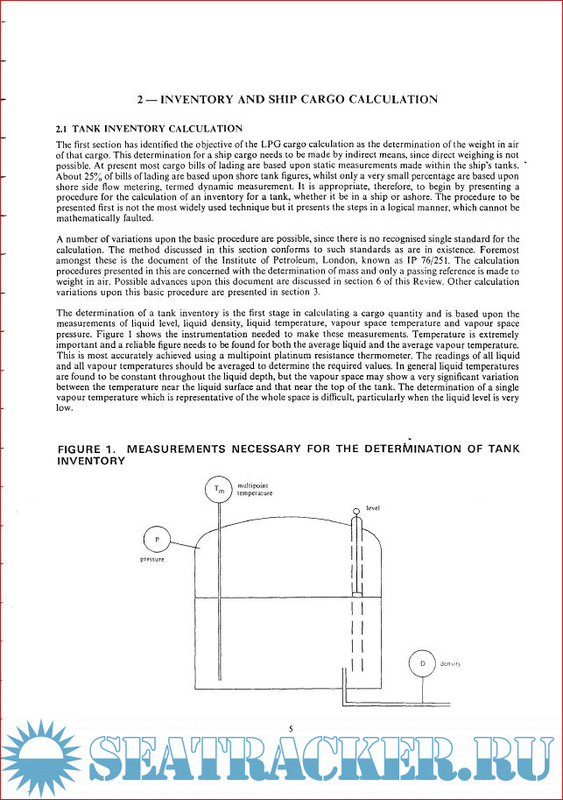 The second section details one method of carrying out the calculation of ship or shore tank quantity, followed by a cargo calculation. The third section considers alternative procedures that may also be used for quantity calculations. Subsequent sections are devoted to calculations from the terminal viewpoint, including comparisons that may be expected between ship and shore figures. The final section is devoted to a consideration of likely future developments in this area, in particular, of documents planned for formalizing and enhancing calculation procedures. Additional info: Prepared by Dr. Eric R. Robinson.